A Dresden judge has been relieved of some of his duties after giving a speech declaring an end to Germany's "guilt cult" about the Holocaust. The court said Jens Maier, who is running as an AfD candidate, is biased. Dresden judge Jens Maier has been barred from presiding over the state court's press law and criminal libel cases after it emerged that he had given a speech declaring Germany's "guilt cult" about the Holocaust as over, and argued against the "creation of mixed peoples." In a statement issued this week, the court said it had decided, with Maier's consent, that press law and criminal libel cases would be moved to another, newly-created chamber, in order to "avoid any doubt about the impartiality of the court," leaving him to cover road accident arbitration and "general civil law cases." The court's statement was meant to draw a line under a string of controversies around Maier, though the immediate trigger was a speech he made on January 17 at an event in Dresden organized by the Alternative for Germany (AfD) - the far-right populist party he intends to represent in the Bundestag after this year's general election. But, as the court statement also noted, the decision followed a number of cases in which plaintiffs or defendants had raised concerns about Maier's impartiality. Since press law and libel often involve "highly political questions," the court argued, the presidium had decided it would be best to simply remove those issues from his jurisdiction altogether. The judge himself appears to have accepted the problem. In early January, Maier declared himself biased in a case in which an AfD state parliamentarian had sued an anti-fascist organization in Saxony. "With the concluded change in jurisdiction, such problems will be avoided in future," the court statement said. Ralf Möbius, a Hannover-based lawyer who has written about Maier's case, was not satisfied with the court's solution. "You could say it was fair, because he himself is reported to have consented to it," he told DW. "But I don't think the right way to react to public criticism is to suddenly create a new chamber that is identical except for Maier. That's a sleight of hand." As Möbius points out, German law allows judges to be members of political parties, though he acknowledges that Maier's public vociferousness is unique. But that was no reason to simply shut him out of a whole category of law cases. "I think that's relatively spineless," said Möbius. "No sooner does a judge express an opinion that is rejected by the majority, and meets a devastating reaction in the press, the judge presidium gets cold feet and pulls a couple of personnel tricks." He also had some legal doubts about the court's solution. For one thing, laws governing German courts only allow personnel changes to be made during the working year when judges are overburdened or under-burdened, or if a judge is unable to carry out his duties. Not only that, the law has clear rules in cases of suspected bias, which decree that each one has to be assessed individually. Möbius said that though he understood the court's motivation, bypassing those rules might be "economic" - but it wasn't "legally clean." Maier's speech came at the same event at which prominent AfD politician Björn Höcke made his now notorious speech demanding a "180-degree turn" in Germany's tradition of remembering the Holocaust. In reaction, state prosecutors put both men under investigation on suspicion of hate speech and incitement, and the AfD briefly considered ejecting Höcke from the party. The Dresden state court had already felt compelled to issue a statement the day after Maier's speech, distancing itself from what it called "Mr. Maier's private opinion, which does not reflect the opinion of the state court." The court added that it would assess whether the judge's statements amounted to a violation of the "Mässigungsgebot" ("moderation requirement"), an article of the law that requires judges to "behave in such a way so as not to endanger the trust in their independence." In other words, German judges are required to appear politically impartial in public, even when not in court. Maier's political views appear to have bedeviled his official duties before. In June 2016, he ruled against political scientist Steffen Kailitz for saying the far-right National Democratic Party (NPD) pursued "racially motivated crimes against the state," though following the academic's appeal he persuaded the NPD to withdraw its suit. How radical is Europe's right? The leader of the Alternative for Germany, Frauke Petry, said police could use guns as a last resort to prevent illegal border crossings, pointing out "that's the law." What began as a euroskeptic party has turned into an anti-establishment and anti-EU force, claiming up to 25 percent of votes in German state elections in March 2016 and taking second place in Chancellor Angela Merkel's home state. Many believe Brexit and Donald Trump's victory in the US presidential elections could give new impetus to France's National Front. Established in 1972 and now led by Marine Le Pen, who took over from her father, Jean-Marie Le Pen, in 2011, the National Front is a nationalist party that uses populist rhetoric to promote its anti-immigration and anti-EU positions. The leader of the Dutch Party for Freedom, Geert Wilders, is one of Europe's most prominent right-wing politicians. He was convicted in December for asking a crowd in 2014 if they wanted more or fewer Moroccans in the country, but no penalty was imposed. His party is considered anti-EU and anti-Islam. 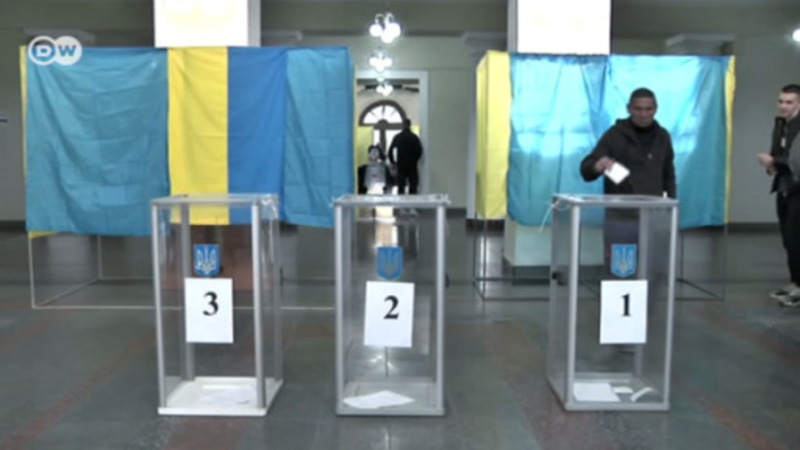 It is leading polls ahead of next year's parliamentary elections and currently holds 15 seats. Nikos Michaloliakos is the head of Greece's neo-fascist party Golden Dawn. He was arrested in September 2013 along with dozens of other party members and charged with forming a criminal organization. Michaloliakos was released in July 2015. Golden Dawn won 18 seats in parliamentary elections in September 2016. The party holds anti-immigrant views and favors a defense agreement with Russia. Hungary's anti-immigration, populist and economic protectionist party Jobbik aspires to be in the government by 2018. Now Hungary's third-largest party, it won 20 percent of votes in the last elections held in 2014. It wants a referendum on EU membership. Jobbik also advocates criminalizing "sexual deviancy," submitting a bill targeting homosexuals in 2012. Jobbik is headed by Gabor Vona. After Trump's election, Sweden Democrats leader Jimmie Akesson said in an interview with Swedish TV: "There is a movement in both Europe and the United States where the establishment is being challenged. It is clearly happening here as well." The Sweden Democrats call for restricting immigration, are against allowing Turkey to join the EU and want a referendum on EU membership. Norbert Hofer of Austria's nationalist Freedom Party lost the recent presidential runoff by a mere 30,000 votes, after being front-runner in the first round. Former Green party leader Alexander Van der Bellen won 50.3 percent of the vote, with Hofer gaining 49.7 percent. The Freedom Party's leader campaigns for the strengthening of the country's borders and limiting benefits for immigrants. The leader of the hard-right People's Party - Our Slovakia, Marian Kotleba, has said, "Even one immigrant is one too many." On another occasion, he called NATO a "criminal organization." This Slovak party favors leaving the EU as well as the eurozone. It won 8 percent of the vote in March 2016 elections, securing 14 seats in the country's 150-member parliament. State lawmakers have agreed to lift the parliamentary immunity of regional leader of the far-right AfD, Björn Höcke. The politician is accused of using photos of a victim of a murder for his own political ends. A regional branch of the far-right Alternative for Germany (AfD) party accuses a state interior minister and intelligence chief of abusing their power. It has taken its complaint to the Federal Constitutional Court. Björn Höcke will be allowed to remain a member of the Alternative for Germany (AfD) party, an arbitration tribunal has ruled. Höcke claimed last year that Germany was "crippled" by its "stupid" politics of remembrance.